Be bold enough to think a wine outside of a standard bottle, which is affordable, tasty fresh and environmentally friendly wines. As others would say, its no different whether the package is in the box or bottle, it all begins in the vineyard and the quality of fruit used. Once we have the good quality of fruits, and how it is being process via fermentation and aging,.the only difference then is how it is being package, whether bottle or in a box. Boxed wine is cheap, good for the environment and chic. Yes, chic you got it right! 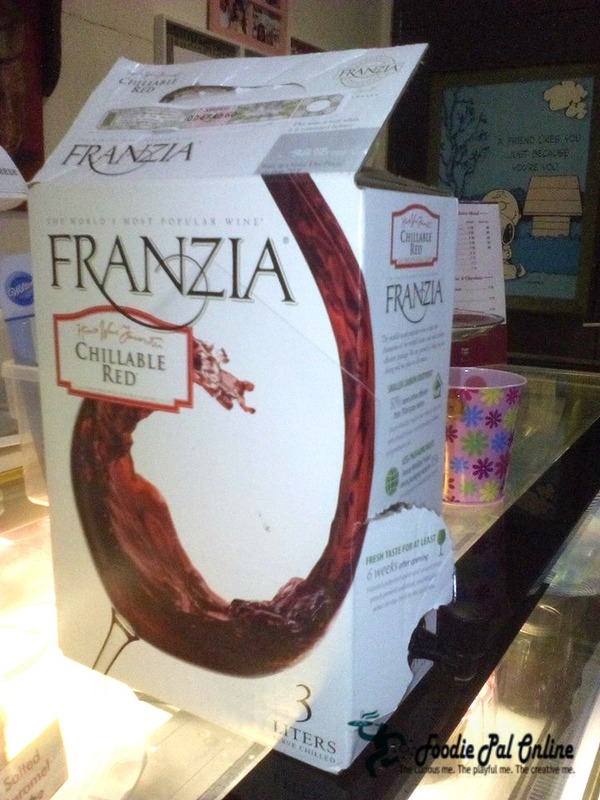 Actually, I was surprised that a box of wine called FRANZIA by Fly Ace Corporation will give me that tricky but classy feeling, that when you drink it you have that expression of a trendy lifestyle and glamorous in a sophisticated manner. Perfectly produced from only the finest grapes in California, USA. 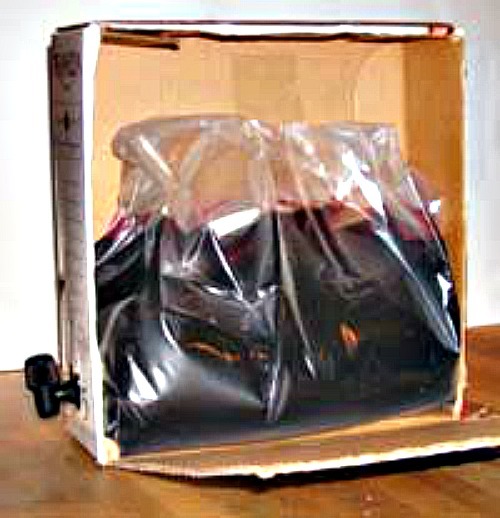 Obviously, boxed wine is not a regular or typical type of wine that you are going to buy and age, compared with bottles. With Franzia, using the revolutionary fresh to the last wine SMART TAP-TECHNOLOGY and unique packaging, wherein the wine is being put in an airtight bag (sealed), that allows them to keep fresh for a much longer period of time by refrigerating. If you opened the box, it looks like that in the picture above. While outside the box, you can see a small SPIGOT attached in it. These party-friendly wine cost less, you can keep it longer as good as 6 weeks after opening. Franzia is the new wave of premium quality boxed wine, you may not have to worry having leftovers. The product has different variants, the most famous are Chillable Red, California White, California Red, and Sunset Blush. I think this is more of a party wine for large consumption compared to the aged wines, which is more apt for intimate occasion. People would love this on parties. This is advisable for parties and other occasions. I think, I will fill my glass over and over again. I'm a big foodie, beverage included. This is a must-try I would say. Food/beverage has taken its share in the current market trend. Interesting. Food and beverage goes together. Why? They both give complements and contrasts they offer to each other. We have tried this before and it tastes okay. Franiia is considerably a well-known brand in the commercial market and it's a great gift for corporate clients whenever there's a business event or special occasion. I haven't tried Franzia. Actually, it is my first time to know that there is such thing as boxed wine. I will definitely give Franzia a try although I'm more familiar with wines in a bottle. This is a good way to enjoy wine at a fraction of cost. 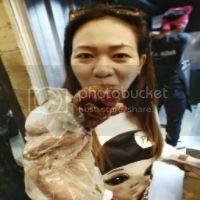 I am a teetotaler...but definitely this post is nice because of contents and pics...must b a treat for wine lovers. Very recently I came across this packaging of wine. I dunno which brand it was, but recently at a friend's party, he had this wine. Its so easy to handle without the fear to dropping the bottle down when you're high!!! Seems like this is an awesome way to enjoy with wines, though I donn't like to drink a lot still yup it's worthy to give it a try for once I believe. not a wine drinker but will share with my friends! Just like you said, better than you think. I used to get the same exact thing for me and my parents. Better deal. Thanks for sharing. Keep it up! The smart-tap technology really sounds cool and I would like to see in person how that works. It's great that you can keep it as long as six weeks since small groups and those who are new into wine won't be able to finish everything in one go for sure. Wine in a box is pretty new to me. Good to know Franzia use the smart-tap technology. 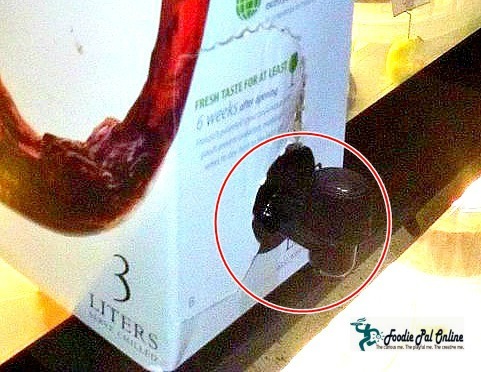 The wine becomes more handy and the container unbreakable. Very efficient packaging indeed! I would love to share this with my wine loving friends. Great post! And very tempting. This is the first time that I'm hearing about boxed wine. I am intrigued and would like to try this one soon. I like how boxed is more handy because it doesn't break. Sorry, I do not really like wine so this development does not affect me. However, I don't really know if people who love wine will like this new packaging though. I think the bottle packaging will stay. I don't really drink wine, so I've never tried this brand before. It's a cool concept though, perfect for parties. I hope they have an extra variant for sangria next time. It looks promising keeping wine in a airtight plastic bag for convenience in storage. The tap was indeed a brilliant idea. Really surprised by how they managed to create this and make it economical. I've actually tried Franzia wines and really enjoyed them. It has a really fine taste. Wow I think the box wine is perfect for outdoor picnic, BBQ, parties or pool parties. I have been waiting for this. I drink Franzia especially the white wine. 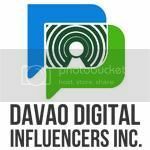 Sad to say, we're already paying bigger taxes for alcohols and other unhealty stuffs. I love Franzia. That's what my aunt always buy whenever she comes back in our country. I have never had boxed wine and have always thought they might not taste good. 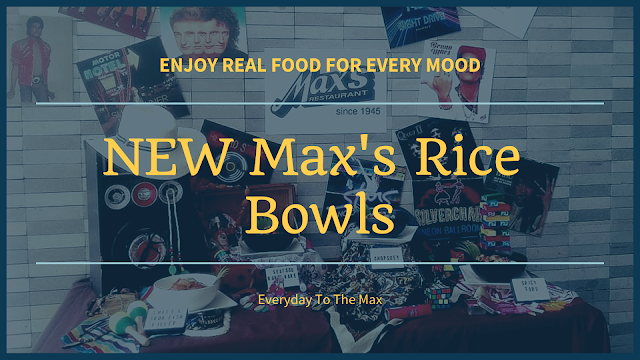 Now after reading your review I might have to try them. I admit I didn't try this type of wine (I'm not much of an alcohol drinker). This looks like a great idea for parties, right? I guess picking the right brand is essential! This wine has been on the market for decades. 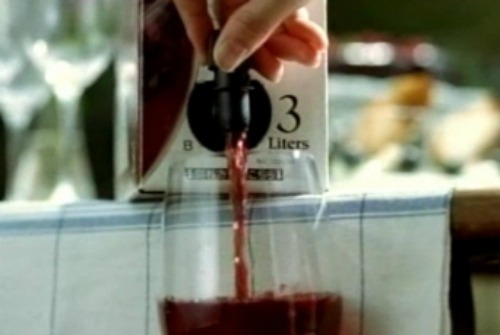 The vacuum effect when using the tap shrinks the bag helps to keep the wine in the bag from oxidizing. The overall taste of the product is good for the money. But it is not on par with higher end wines. No not misunderstand my opinion. Still a great idea and product!